A positive inspection would be the green light necessary for the North American market to return to buying fresh meat from Brazil. RIO DE JANEIRO, BRAZIL – The US Department of Agriculture (USDA) is expected to send a team to Brazil in June to conduct a sanitary inspection of Brazil’s beef and pork meatpackers. The inspection could lift the North American country’s restriction on fresh bovine meat imports in place since June of 2017. 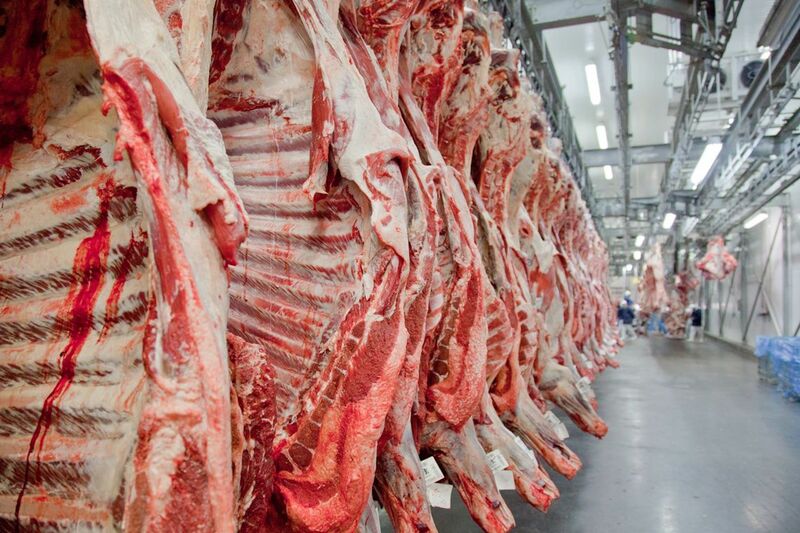 U.S. officials will be conducting inspections in Brazilian meatpacking plants, photo courtesy of Abiec. “This is an important step so that we can once again export, in the near future, fresh meat to the US,” Brazil’s Agriculture Minister, Tereza Cristina Dias was quoted in a statement released by the country’s Ministry of Agriculture, Livestock and Food Supply. A positive inspection, scheduled for June 10-28, would be the green light necessary for the North American market to return to buying fresh meat from Brazil. In June 2017, the U.S. suspended all imports of fresh Brazilian beef after a high percentage of shipments failed to pass health standards. At the time, reports indicated that as much as eleven percent of Brazil fresh beef products were failing inspection. According to the U.S. Food Safety and Inspection Service the rejection of Brazilian fresh meat was ‘substantially higher than the one percent reject rate for remittances from the rest of the world’. The decision was made a few months after a meat packing scandal, dubbed as Carne Fraca (Weak Meat). At the time investigators closed in on twenty-one meat packing plants, accusing them of using ascorbic acid to hide the smell of tainted meat, repackaging meat with new valid dates and bribing health inspectors to report their products as safe.